Care Management Matters (CMM) is a management magazine type journal published by Care Choices Ltd (registered in England Company Number 02769567) whose registered office is 3 Valley Court, Lower Road, Croydon, Nr Royston Hertfordshire SG8 0HF. Care Choices was founded in 1993 as a publisher of care information and producer of care directories for local authorities and councils. Other independent publications produced by Care Choices include Care Select and Progress. CMM has been developed specifically to provide information to the UK care sector aimed at exploring the many challenges facing managers and proprietors and which looks at opportunities and solutions to current management issues. Contributors are generally independent experts in their fields called upon to discuss topical social care issues, changing legislation, finance, marketing, HR strategies, training and recruitment. By accessing and using the CMM website and subscribing to or using any of the published information contained either on the website or in the CMM journal you should be aware that all information is given by Care Choices in good faith. Care Choices Limited does not accept responsibility for any inaccuracy, loss or damage arising from use or misuse or take responsibility for the views expressed by contributors or commentators within the published product or detailed on any of its websites. All subscribers will be required to acknowledge acceptance of these terms and conditions using a tick box on the www.caremanagementmatters.co.uk website. A 'material' change to the programme of the Event is a change which, in Our reasonable opinion, makes the Event materially different to the Event that purchasers of the Ticket, taken generally, could reasonably expect. option of a hard copy of CMM (subject to publication and circulation issued generally 10 times per calendar year). Subject to approval by the CMM team, subscription to the CMM journal for all registered care providers is free of charge provided use of a valid registration number related to their service. Care Choices Ltd, reserves the right to deny or remove subscriptions from individuals using invalid or false registration details. Non-registered care providers may also subscribe and, subject to approval of the subscription by the CMM team, will be afforded the opportunity to receive the journal free for a one-off trial period of 3 calendar months. Thereafter a current charge of £50 by way of a rolling annual subscription charge will apply, covering a 12 month period from the date the paid subscription commenced. .
To avoid being charged the annual subscription, non-registered care provider subscribers must notify Care Choices Ltd during the trial period (or within 14 days of the effective start of the annual subscription charge period) of the desire to cancel their subscription. To be effective cancellation notification must be sent to Care Choices Ltd via email at: info@caremanagementmatters.co.uk. If cancellation notice is received later than 3 months and 14 days following the effective start date of the paid for annual subscription then the annual charge levied will not be refunded. Renewals will continue automatically on an annual basis unless the CMM journal is withdrawn from publication or circulation or subscription is cancelled by the subscriber. For non-registered care providers this will mean a further charge each year at the applicable annual rate which may be at a fee of more than the current 2015 annual fee of £50. It is the subscriber’s responsibility to check the annual subscription charge rate applicable on the CMM website and ensure cancellation of their subscription if this rate is not acceptable to them. All subscriptions, including annual renewals, are subject to a 14 day cooling off period during which time non-registered care provider subscribers may cancel their subscription without incurring the applicable annual charge. Please email Care Choices Ltd at info@caremanagementmatters.co.uk to notify of a subscription cancellation decision. At the time of subscribing, all subscribers will be requested to submit their name, email address, generate a user name, give their registration number in the case of care providers and provide payment information details if a non- registered care provider. Subscribers are responsible for the accuracy and security of their personal information and non-registered care providers for, in addition, the accuracy and security of payment information provided. Care Choices Ltd will adhere to the requirements of the Data Protection Act in respect of your subscription information. When using the www.caremanagementmatters.co.uk website you acknowledge that all materials are protected by applicable United Kingdom and International intellectual property and other laws. You may not reproduce, copy, distribute, store or in any other fashion re-use material from the www.caremanagementmatters.co.uk website unless given express written permission by Care Choices to do save for applicability of fair use exceptions covered by Chapter III of the Copyright Designs and Patents Act 1988. No part of the www.caremanagementmatters.co.uk website information or information provided should be regarded as intended to constitute advice to be relied upon by you when making a decision or taking any action of any kind. Whilst Care Choices Ltd uses reasonable endeavours to ensure the www.caremanagementmatters.co.uk website is secure and free of errors, viruses and other malware, all users are advised to take responsibility for their own security, that of their personal details and their computers. 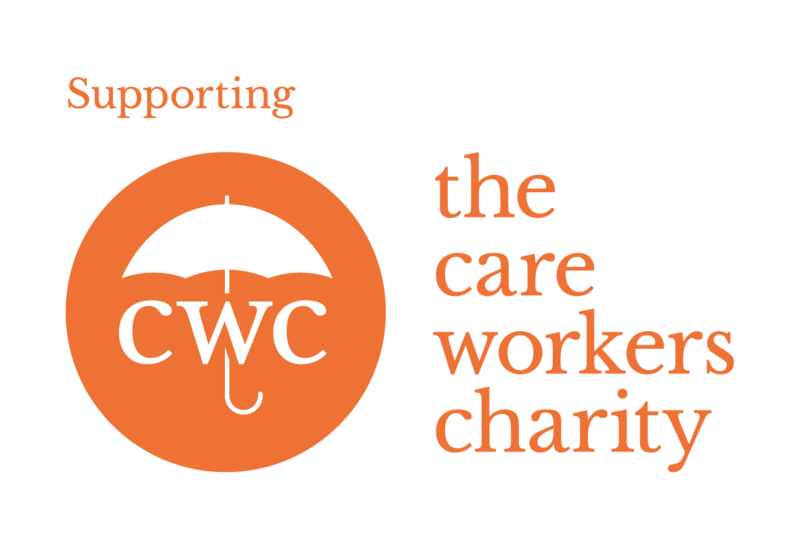 Care Choices Ltd does not make any representation or provide any warranty as to the availability of the www.caremanagementmatters.co.uk website or the CMM journal displayed on the website or any Goods or Services. Responsibility for views expressed by contributors or commentators within the printed journal or on the website www.caremanagementmatters.co.uk is at all times theirs whilst noting that Care Choices Ltd reserves the right to remove or not approve any comments at its own discretion. Care Choices Ltd makes no warranty or representation that the CMM journal or any of Care Choices Ltd’s services will meet your requirements nor do Care Choices Ltd make any guarantee of any specific sort resulting from using Care Choices Ltd’s Goods or Services or as to publication or circulation dates or specifically as to the number of journal issues per annum.